Northern Lights sent 28 teams to Omaha, Nebraska for the 2019 January Thaw and the 18’s National Qualifier. The 18-1 team finished 2nd in the 18 Open Division and the 18-Black team finished 3rd in the 18 American Division in the 18’s National Qualifier! 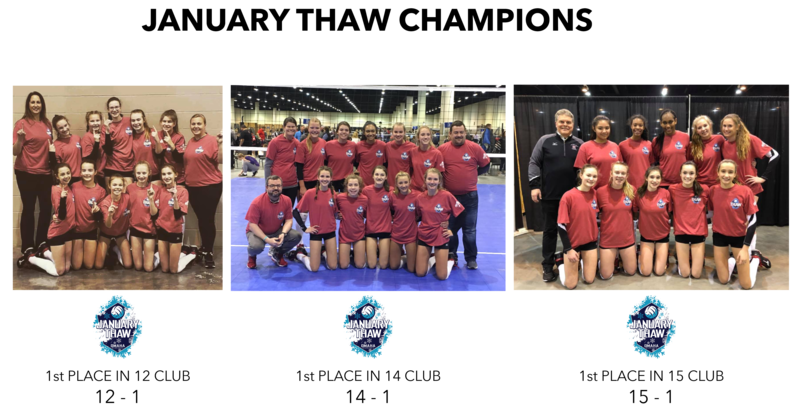 The 12-1’s took first place in the 12 Club Division, and the 14-1’s and 15-1’s went undefeated this weekend, winning the 14 Club Division and 15 Club Division! Thank you to the athletes, coaches, chaperones, and parents for a great weekend!